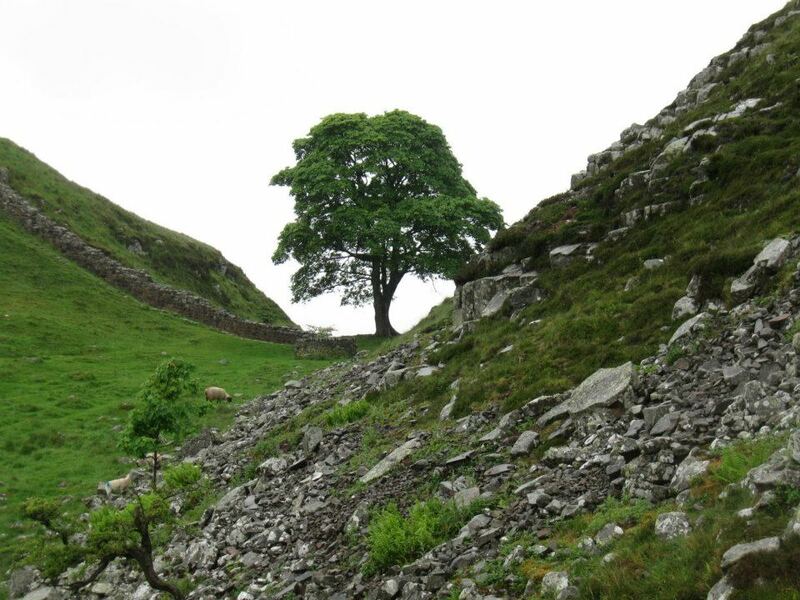 2012: On Hadrian’s Wall path from Grindon to Haltwhistle. I am a trekker. I have walked from Newcastle to Bowness-on-Solway, 84 miles, retracing the layout of Hadrian’s Wall. 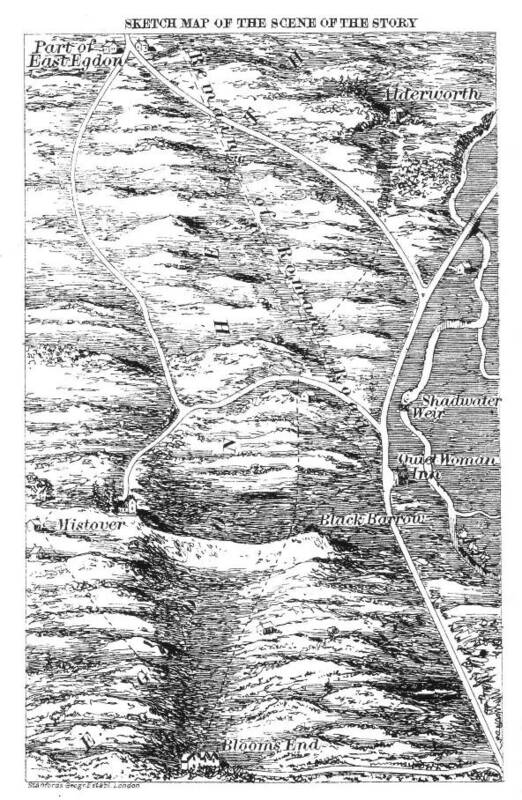 When people talk about maps, about any kind of map, about contour maps, the Paris Atlas, Google Maps, I immediately think about that 84 mile walk that I did entirely with the use of hand-drawn maps by Henry Stedman. Each map is drawn not to scale, but to walk. The first time I used the maps, as my dad and I were walking from Segedunum to Heddon-On-Wall, we were getting used to the scale of the map. Steadman’s maps were measures of walking time, not physical distance. And this is what struck me as I was reading Franco Moretti’s Graphs Maps Trees. While I greatly appreciate what his paradigm has done for my understanding of literary forms and movement, I don’t think this guy has ever walked long long distances, and I don’t think that his maps, rather, his diagrams do justice to pre-automobile travel. Certainly, one can make a diagram of distance. How close are the inhabitants of Three Mile Cross to a cataclysmic shift in their understanding of their being in space? Mary Mitford’s three-volume Our Village are subjected to centripetal and centrifugal forces: the forces of industrialization, of labor and management, of urbanization, of the enclosure laws, of the state. Each diagram of distance will show how these forces are acting upon the production of the text. Mitford, Moretti seems to suggest, is documenting a shift in audience demands for a type of literature: the village story. This force of reader appetite is shaping the diagram of the novel. As the novels move into the third volume in 1832, the genre, at least according to Moretti’s graph in Figure 9, has fallen out of favor. The action of the stories and vignettes of Our Village starts out concentrated and clustered closely around the village in 1824, but by 1832, not ten years down the road, settings are dissipated from the village, and the majority of the stories take place greater than 6 miles away from the village (Moretti 61, figure 26). Moretti’s different diagrams of distance depict not only changing interactions with space (the country walk), but also serve to illustrate market forces on literary genre and production. As England becomes more urbanized, more centralized, so do the literary tastes of the English reading public. The characters themselves move from the village to the city. I wonder if Moretti knows how long it takes to walk six miles. How long it takes to walk ten? How about 12? What about 15? What if the terrain is undulating? What if you’re walking in bad weather? What about on tarmac? What is your speed if you’re walking on grass, dodging sheep filth? I kept thinking about Tess, of Hardy’s Tess of the D’Ubervilles, as I was walking. She walked to see her estranged husband’s family, and left her walking boots hidden in the bushes so that she could wear her pretty shoes to meet the Clares at the vicarage. She chickens out. In a terrible turn, her walking boots hidden in the shrubbery are espied by Angel Clare’s well-heeled brothers, mocked, and confiscated to “give to the poor.” Poor Tess has to walk back in her dress shoes. If she walks 5 hours, that’s going to be about 12-15 miles. In dress shoes. As I walked from Haltwhistle to Gilsland, a rolling walk, I thought about Tess, and thought about what it would be to walk those 10 miles or so without good hiking shoes. As I was walking, I also thought about The Return of the Native and the paths in that novel. A significant number of encounters and plot developments take place on paths, and people walk hither and thither, missing connections and seeing each other from afar. I wonder what sort of graphing and mapping of walking and paths could reveal about physical displacement in English novels? For his part, Moretti is looking at the macrocosm of literature. He wants to find overall trends and movements by reading distantly. When maps are removed from the physical setting they represent, the details are lost. Certainly, you can trace trends, market demand, audience engagement, economic forces, even the “genetics” of narrative. What is lost in this, dare I say it, positivist approach, is the attention to the little things that walking makes you notice: the rowan tree bent at right angle over Bloody Gap, the distances from mile castle to turret, to turret, to mile castle, the weathered steel bridge at Willowford. This is the walk, the map as flow, which is, in a measurement of time, short. The contour map? The types of trekkers? The economy of the mode of transportation? This is the form, the mediation between the flow and the structure. The structure is the economic process of carving up of the landscape by enclosures, paths, roads, highways, superhighways, train tracks, and runways. The structure, the movement of people over landscape, or of audience over texts, is necessarily a distant view. The trick is not to lose sight, to be reductive: all plots have already been written, all characters are archetypes created in response to market forces, all sentiments can be graphed. Number crunching leads to literary nihilism. This entry was posted in Uncategorized by cocolawton. Bookmark the permalink. First, let me tell you that I’m jealous of you having trekked along the Hadrian’s Wall, from the Geordie region (I love that accent) to Cumbria. Of course, Moretti’s diagrams – I think he makes it clear that his are not maps per se – are the big picture of, as you say, the macrocosm of literature. He doesn’t pay attention, in this particular book, to the stories or plots themselves and yet I find it truly interesting to do it that way. It is a different way of looking at the system. The only way in which we can get an interpretation of the whole picture, the cycle of genres in different times and spaces. Then, I guess, after the big diagram, we should get into looking for those specific books that stand out or diverge from the system as to look for details (he does somehow does that on “Atlas of the European Novel”). Maybe we can find brilliant works that have been hiding. New revelations. Maybe nothing new. After all, these models are just abstracts for interpretation – one has to choose boundaries, questions and answers. You have composed a beautiful reflection from the lens of your experience on Hadrian’s Wall. It’s such a fitting means to convey this idea that Moretti loses the spirit of literature. He takes life away from the characters and places them on a linear path that they dare not deviate from. As a result from this perspective, the reader is supposed to follow the laundry list of connections that we know were established. But, as you mention, where do the details fit in? It’s a lifeless world to follow the map of Moretti and not the hand drawn maps as you mention. It appears to me that there needs to be a balance between Moretti’s maps and a literary analyst’s criticism. I think I would feel more comfortable with Our Village’s map if it looked like a human had drawn it. There’s something attractive in the imperfections and in the minor details. I know personally I have pored over Tolkien’s Middle Earth Maps for hours. There is something powerful to them and they can be improved to escape from the “literary nihilism” as you call it. Huzza for walking in England!